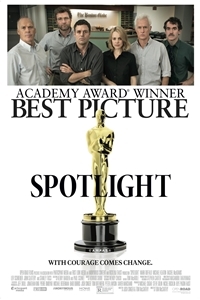 Spotlight, which takes its name from a team of investigative journalists at The Boston Globe, is a touching ode to the old-fashioned notion that some things simply need reporting; never mind the effort, the expense, or the effect on circulation. Here, the thing in question is the awful failure of the Catholic Church in Boston (and beyond) to protect its youth from its sexually abusive priests. But while director and cowriter Tom McCarthy clearly relishes the chance to dramatize the dull drudgery of diligent newsgathering — knocking on doors, chasing down sources, poring over directories, building spreadsheets, etc. — he’s out to uncover something bigger than How They Broke It. Something more amorphous, more encompassing, and more poisonous: the tribal culture of a city that somehow lived with the secret for 30 years. And not even the Globe — in fact, especially not the Globe, nor its stalwart reporters — escapes that particular spotlight. The top-shelf cast — which includes Michael Keaton, Mark Ruffalo, Stanley Tucci, and Rachel McAdams, among others — contents itself with unshowy ensemble work, and McCarthy maintains an atmosphere of cool control, keeping the viewer just distanced enough from the smoldering horror. Matthew Lickona: Why did you decide to take on this project? Tom McCarthy: I just thought it was an incredibly compelling story with a lot of potential. And I say “potential” because we didn’t have the full story. My co-writer Josh Singer and I had to go and dig it up. I was fascinated by the idea of this editor taking over the Boston Globe — the first from outside the paper — and on Day One, sitting at the 10:30 meeting of the senior editors and starting to poke at this story that the paper had reported on but not followed up. These allegations of the Church’s cover-up and complicity in these crimes. I wanted to find out what else was there. ML: How did you hear about that meeting on Day One? TM: Two of our producers, Nicole Rocklin and Blye Pagon Faust, had heard about it through friends; I think one of them was at the Columbia School of Journalism. So they went up to Boston and secured the life rights of these reporters and asked them some questions about how the investigation proceeded. That was my starting point. We spent hours interviewing the reporters and tailing them and getting to know them. This was 12 years after the investigation, though, so they needed all the help they could get. Sometimes we had to triangulate several stories and piece things together. It did feel like we were investigating their investigation. 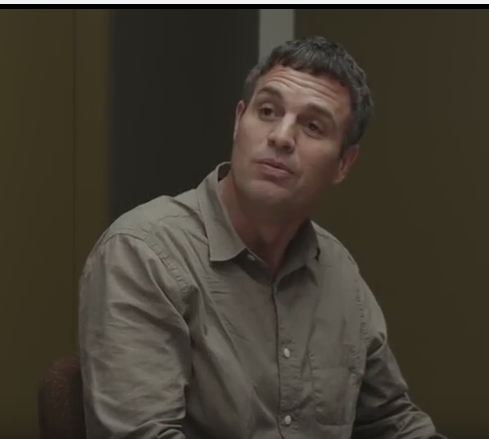 ML: The film is at least partly the story of the Globe investigating itself, and that part of it gets deeper even as the investigation into the Church gets deeper. Did that come out of your conversations with the reporters? TM: Yes, specifically from our conversation with Eileen McNamara, who is referenced in the movie. She wrote the initial column that the new editor is responding to at the 10:30 meeting. They ended up writing 600 stories in under two years about this, and we asked Eileen if there was anything they missed. Her one thing was, she wished she had reported on why they didn’t get it sooner. What took them so long? We thought that was really interesting. It’s an occupational hazard that some things fall through the cracks. But another question is, “What was the culture at the Boston Globe at the time?” And not just the Globe, but all of Boston. What was maybe assisting people — or pushing people — to miss things? That, to me, is really compelling. It speaks to the power of the Church, but it also speaks to a cultural environment. There are a lot of other institutions where a lot of other bad things are happening, and where it takes people a long time to see clearly and act. I think it’s one of the more compelling themes in the film. ML: The story of sexually abusive priests is so explosive, and the film is such a slow burn. How did you go about maintaining such a controlled tone when treating a subject like this? TM: I think our inspiration was the actual reporting. There might be an urge to be sensational when you’re approaching a horrific and tragic thing like this, but I didn’t feel like it was the way to accomplish our goal. I think that was part of our decision to approach this through the journalists’ eyes. And I think it makes it, it some ways, accessible in terms of the subject matter. And even, I dare say, entertaining. Because ultimately, I still believe that’s our job.